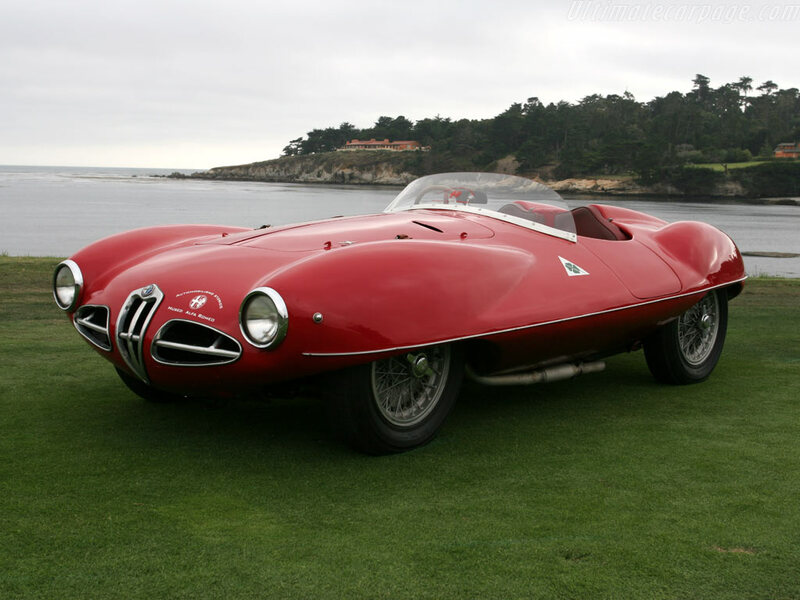 The Alfa Romeo Disco Volante (Flying Saucer) known also as 1900 C52, is a concept car series with production starting from 1952. 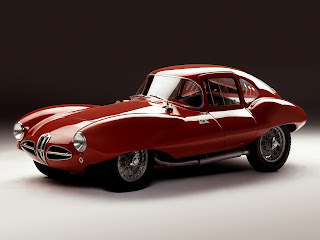 The cars were racing car concepts with mechanics from the Alfa Romeo 1900 and made in collaboration with Milan based coachbuilder Touring. The engine was a slightly tuned 1900 engine (1997 cc) now producing 158 bhp (118 kW). 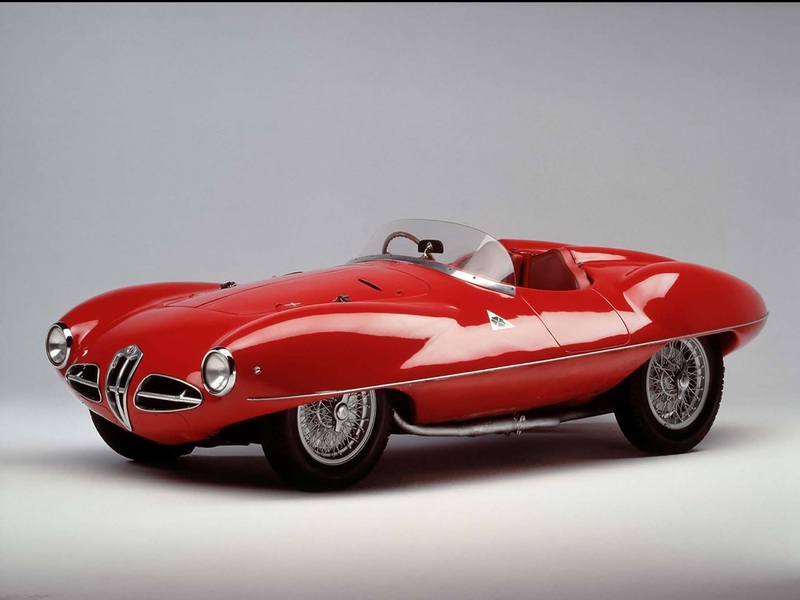 The car was very streamlined, windtunnel tested, and the body was built on a tubular space frame. This aerodynamic shape made a top speed of 220 kilometres per hour (140 mph) possible. Three different body styles were made: one open seater and two different coupé styles. There was even a 3.5 L version made for Juan Manuel Fangio. None of these automobiles ever attained to the status of truly successful racing cars although they were tried a few times, with one victory having been taken at the Gran Premio Supercortemaggiore. According to some the design of the Jaguar E-type has some design cues similar to the Disco Volante. The unique 3.5-liter car is preserved in the Museo Nazionale dell'Automobile in Turin; two 2.0-liter prototypes are preserved in the Alfa Romeo museum in Arese and are regularly used in classic car races. Estimated value of each is between 1 and 2 million Euro. A bronze sculpture inspired by the Disco Volante was revealed in the Fiera Milano for the 100 Years of Alfa Romeo in Summer 2010. Last updated on 24 February 2014 at 08:18.